What better way to grab your customers’ attention than by one of these Jumbo Mini Bin Display Racks as your counter top fixture. 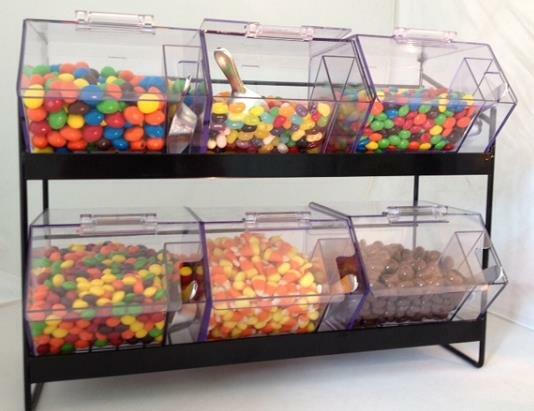 This stylish black metal rack comes with six 68-ounce clear jumbo mini bins to fill with your choice of candy, nuts an-inches wide by other delicious bulk items. Overall measurement for this counter rack is 18.5-inches wide by 14-inches tall with a depth of 6-inches. Each see-through storage container can hold up to five pounds of deliciously sweet pieces. Please remember though that gummy candies are not recommended in these containers. 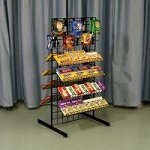 Add a second small candy rack and blow your customers’ minds with all the goodies on display. 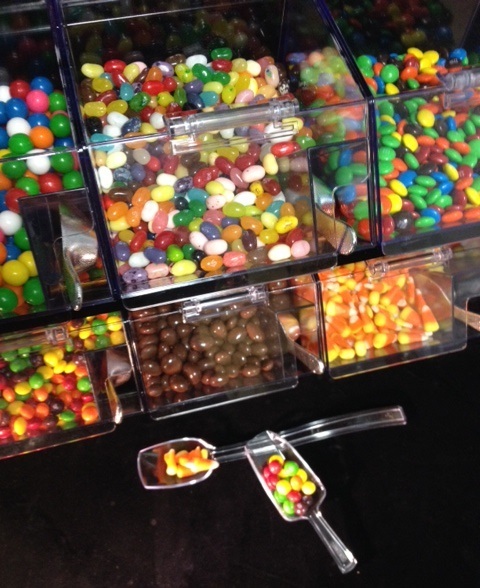 Your order will include the candy scoops, but the acrylic candy spoons are available for an additional small fee. 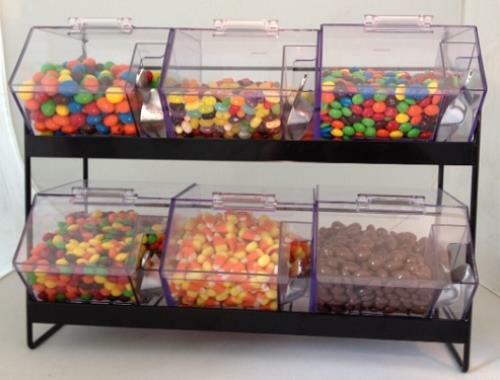 Make sure and order your counter candy display rack today!